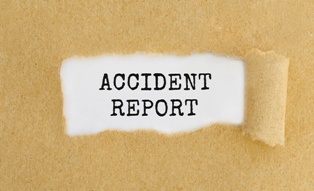 Delaware Workers' Compensation: What Is a First Report of Occupational Injury? Workers injured on the job in Delaware will likely hear the term “First Report of Occupational Injury” at some point while moving through the workers' compensation claims process. Though injured workers have no direct involvement with the First Report of Occupational Injury, this form plays a vital role in Delaware workers' compensation claims. Read on to learn everything you need to know about this important form. In Delaware, when a worker sustains an on-the-job injury they may be entitled to workers' compensation benefits such as coverage of related medical expenses, temporary total or partial disability (lost wage) payments and permanent partial impairment benefits. These benefits are generally available to injured workers, regardless of who was responsible for the workplace accident and subsequent injuries. The workers' compensation claims process begins immediately after the workplace incident—when the worker reports the accident and injuries to their employer, and requests medical services. This is when the First Report of Occupational Injury form comes into the picture. What Happens to the Completed Injury Form? Employers are required to submit the completed First Report of Occupational Injury form to their workers' compensation insurance carrier within 10 days of the date of the workplace accident and injury. While the employer must file the original form with the workers' compensation insurance carrier, they're also tasked with making three copies—one to submit to the Office of Workers' Compensation, one for their own records, and one for the employee's records. What Happens If the Employer Fails to Complete the Form? Delaware state law requires employers to complete and submit a First Report of Occupational Injury form any time a workplace accident leads to an injury, regardless of how minor. Employers who fail to file a First Report of Occupational Injury form after an accident may face fines of up to $250. A skilled personal injury attorney can follow up on this form and other important paperwork to ensure that the workers' compensation claims process goes as smoothly as possible. If you were injured in an on-the-job accident in Delaware, it's important to protect your rights and your ability to collect the workers' compensation benefits you need and deserve. A knowledgeable Wilmington, DE workers' compensation attorney can represent your best interests throughout the workers' compensation claims process. Do you have questions about a workers' compensation claim? The experienced attorneys and legal staff with the Morris James Personal Injury Group have answers. Our firm offers free, no-obligation initial consultations for prospective clients—contact us today to schedule an appointment for your free consultation.